Green tea is one of the most popular beverages in the world. Derived from the leaves of a plant called Camellia sinensis, the use of green tea can be traced back to China over 4,000 years ago. It’s one of the oldest beverages in existence. Green tea was traditionally used by Zen monks during meditation practices for its ability to boost both mental and physical energy levels without causing the jitters. Green tea is extremely versatile both in the kitchen and in medicine. It contains a range of compounds including caffeine, L-theanine, and a unique antioxidant substance called polyphenols. All of these compounds are present in a cup of green tea as the steeping process releases them from the plant matter, into the water. When consumed as a tea, the leaves of the Camellia sinensis plant provide numerous health benefits, including weight loss support. These benefits can be attributed to the active chemical compounds in the plant. One of the most notable compounds is the polyphenol antioxidant known as epigallocatechin gallate, or EGCG. Where Does EGCG Come From? When you steep a cup of green tea, the active polyphenol compounds are extracted into the cup of water. You may choose to sweeten your cup or add a pinch of lemon juice, but the active weight loss compound (EGCG) will remain – no matter what your taste preferences are. There are many different types of methods used to extract EGCG from Camellia sinensis leaves. 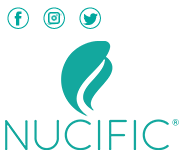 Each method influences the efficiency of the catechins extracts. These methods include aqueous solvent extraction, chromatography, steam distillation and membrane separation. EGCG dietary supplement producers often use these types of methods to extract the chemical constituents from tea leaves. How Does EGCG Help With Obesity? EGCG works in these ways to combat unwanted weight gain, and for this reason researchers believe it may be helpful for those suffering with obesity. Here are three ways EGCG is proven to help with obesity-related weight loss. Studies have shown that EGCG derived from green tea is an effective way to boost fat metabolism. Green tea extract with high EGCG content is an effective approach to weight management for the obese and morbidly overweight. 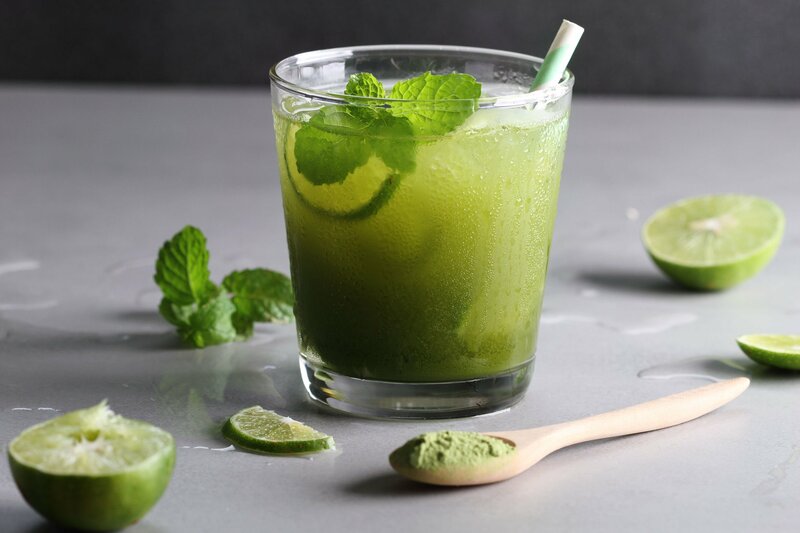 Studies have shown that when consumed, green tea extract disrupts the absorption of nutrients through digestion.8,9 Its effects target starches, glucose, and fat to reduce unwanted weight gain. EGCG derived from green tea extract was shown in clinical studies to help reduce food intake. This may be due to its effect on the endocrine system. EGCG is proven to play a role in the production of weight loss hormones including insulin, insulin-like growth factor, and leptin – the hunger hormone. Because it helps to reduce the absorption of micronutrients in the gastrointestinal system during digestion including starches, glucose and fat studies suggest it may be helpful in reducing appetite by suppressing the production of important hormones, including insulin and leptin. What Can EGCG Do For Me? One of the most exciting ways that EGCG helps with obesity is that it has the unique ability to burn stored fat. EGCG releases fat in trouble areas to be burned for energy, making it ideal for those who want to lose stubborn pounds. Although EGCG has been shown to reduce body fat all over the body, is it able to target visceral fat-type obesity. EGCG has been shown in clinical trials to reduce visceral fat, the most harmful type of fat, also known as belly fat. There is no other plant-derived substance like EGCG on the planet for obesity. 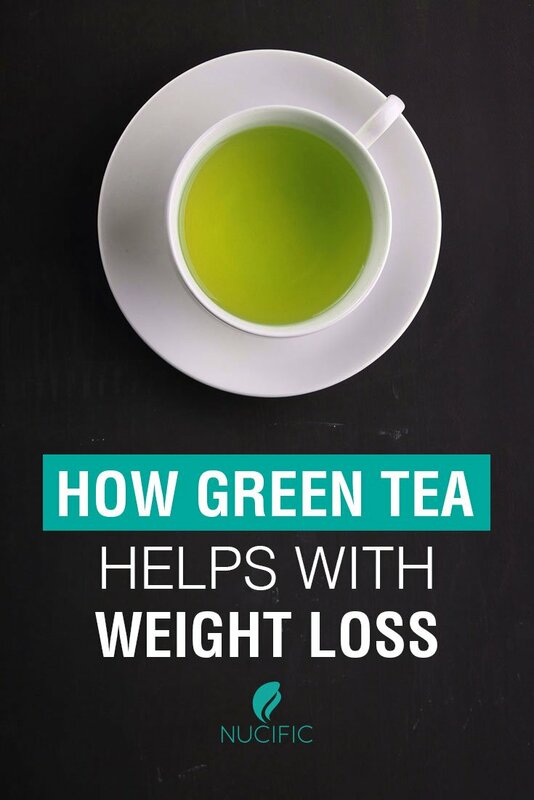 Green tea extract has been shown to increase fat-burning and metabolic rate, leading researchers to believe that EGCG from green tea extract has the ability to help with obesity. Where Can I Find EGCG? One of the most potent sources of EGCG is green tea, however not all tea bags are created equal. Some brands of green tea can contain as much or as little as 25-150 grams per 8 ounce cup. Be sure to verify that the green tea you choose is not only organically grown, but also contains verified amounts of active EGCG compounds. Green tea is not the only variety of Camellia sinensis that contains EGCG – the fat-blasting compound. In fact, you can find EGCG in black tea, white tea, oolong tea as well as Chungtaejeon, a fermented Korean tea. How Much EGCG Should I Take? If you are interested in adding green tea extract with standardized content of EGCG, dietary supplements are available in a variety of potencies – up to 90 percent active EGCG extract! Our weight management probiotic, BIO X4, has 100 mg of EGCG per capsule. Remember, successful weight loss doesn’t happen overnight. It requires a commitment to a healthy lifestyle. Along with a wholesome diet and regular exercise, EGCG may help you to shed unwanted pounds faster than diet and exercise alone. EGCG derived from green tea extract is a powerful substance, offering many different potential health benefits. One of its most notable benefits is weight loss. EGCG has shown potential in numerous clinical trials to aid in obesity-related weight loss. It may help reduce the risk of associated health problems by boosting metabolism, increasing energy expenditure, promoting blood sugar balance, reducing micronutrient uptake (calorie storage), and burning stored fat, especially in the mid-section. Sources1Cynthia L. Ogden, Ph.D.; Margaret D. Carroll, M.S.P.H. Prevalence of Obesity Among Adults and Youth: United States, 2011–2014. National Health and Nutrition Examination Survey. 2J Huang, Y Wang, Z Xie. The anti-obesity effects of green tea in human intervention and basic molecular studies. European Journal of Clinical Nutrition 68, 1075-1087 (October 2014) doi:10.1038/ejcn.2014.143. 3Shimotoyodome A, Haramizu S, Inaba M, Murase T, Tokimitsu I. Exercise and green tea extract stimulate fat oxidation and prevent obesity in mice. Med Sci Sports Exerc 2005; 37: 1884–1892. 4 Murase T, Haramizu S, Shimotoyodome A, Tokimitsu I, Hase T. Green tea extract improves running endurance in mice by stimulating lipid utilization during exercise. Am J Physiol Regul Integr Comp Physiol 2006; 290: R1550–R1556. 5 R Hursel, M. S. Westerterp-Plantenga. Thermogenic ingredients and body weight regulation. International Journal of Obesity (2010) 34, 659–669. 9 February 2010. doi:10.1038/ijo.2009.299. 6 Rumpler W, Seale J, Clevidence B, Judd J, Wiley E, Yamamoto S et al. Oolong tea increases metabolic rate and fat oxidation in men. J Nutr 2001; 131: 2848–2852. 7 Ichinose T, Nomura S, Someya Y, Akimoto S, Tachiyashiki K, Imaizumi K. Effect of endurance training supplemented with green tea extract on substrate metabolism during exercise in humans. Scand J Med Sci Sporfts 2010; 21: 598–605. 8Sonia A Tucci, Emma J Boyland, and Jason CG Halford. The role of lipid and carbohydrate digestive enzyme inhibitors in the management of obesity: a review of current and emerging therapeutic agents. Diabetes Metab Syndr Obes. 2010; 3: 125–143. Published online 2010 May 10. 10 Matsumoto N, Ishigaki F, Ishigaki A, Iwashina H, Hara Y. Reduction of blood glucose levels by tea catechin. Biosci Biotechnol Biochem. 1993;57:525–527. 11 Juhel C, Armand M, Pafumi Y, Rosier C, Vandermander J, Lairon D. Green tea extract (AR25) inhibits lipolysis of triglycerides in gastric and duodenal medium in vitro. J Nutr Biochem. 2000;11:45–51. 12 Yuliana ND, Jahangir M, Korthout H, Choi YH, Kim HK, Verpoorte R. Comprehensive review on herbal medicine for energy intake suppression. Obesity Reviews. 2011;12(7):499–514. 13 Kao YH, Hiipakka RA, Liao S. Modulation of endocrine systems and food intake by green tea epigallocatechin gallate. Endocrinology. 2000 Mar;141(3):980-7. 14 Nagao T, Hase T, Tokimitsu I. A green tea extract high in catechins reduces body fat and cardiovascular risks in humans. Obesity (Silver Spring). 2007 Jun;15(6):1473-83. 15 Rains TM, Agarwal S, Maki KC. Antiobesity effects of green tea catechins: a mechanistic review. J Nutr Biochem. 2011 Jan;22(1):1-7. doi: 10.1016/j.jnutbio.2010.06.006. Epub 2010 Nov 5. 16Dulloo AG, Duret C, Rohrer D. Efficacy of a green tea extract rich in catechin polyphenols and caffeine in increasing 24-h energy expenditure and fat oxidation in humans. Am J Clin Nutr. 1999 Dec;70(6):1040-5. 17 Venables MC, Hulston CJ. Green tea extract ingestion, fat oxidation, and glucose tolerance in healthy humans. Am J Clin Nutr. 2008 Mar;87(3):778-84. 18Dulloo AG, Duret C. Efficacy of a green tea extract rich in catechin polyphenols and caffeine in increasing 24-h energy expenditure and fat oxidation in humans. Am J Clin Nutr. 1999 Dec;70(6):1040-5. 19Auvichayapata, Paradee, Prapochanunga, Montira. Effectiveness of green tea on weight reduction in obese Thais: A randomized, controlled trial.Physiology & Behavior. Volume 93, Issue 3, 27 February 2008, Pages 486–491. 20 Wang H, Wen Y, Du Y. Effects of catechin enriched green tea on body composition. Obesity (Silver Spring). 2010 Apr;18(4):773-9. doi: 10.1038/oby.2009.256. Epub 2009 Aug 13. 21 Nagao, Tomonori, Tadashi, Hase. A Green Tea Extract High in Catechins Reduces Body Fat and Cardiovascular Risks in Humans. Volume 15, Issue 6, June 2007, Pages 1473–1483. 10.1038/oby.2007.176. 22 Liu K, Zhou R, Wang B. Effect of green tea on glucose control and insulin sensitivity: a meta-analysis of 17 randomized controlled trials. Am J Clin Nutr. 2013 Aug;98(2):340-8. doi: 10.3945/ajcn.112.052746. Epub 2013 Jun 26. 23Iso H, Date C, Wakai K. The relationship between green tea and total caffeine intake and risk for self-reported type 2 diabetes among Japanese adults. Ann Intern Med. 2006 Apr 18;144(8):554-62. 24 Rachel Huxley, DPhil; Crystal Man Ying Lee, PhD. Coffee, Decaffeinated Coffee, and Tea Consumption in Relation to Incident Type 2 Diabetes Mellitus – A Systematic Review With Meta-analysis. Arch Intern Med. 2009;169(22):2053-2063. doi:10.1001/archinternmed.2009.439. 25 Abdul G Dulloo, et al. Efficacy of a Green Tea Extract Rich in Catechin Polyphenols and Caffeine in Increasing 24-h Energy Expenditure and Fat Oxidation in Humans. The American Journal of Clinical Nutrition. December 1999. 26Henning SM, Niu Y, Lee NH, Thames GD, Minutti RR, Wang H, Go VL, Heber D. Bioavailability and antioxidant activity of tea flavanols after consumption of green tea, black tea, or a green tea extract supplement. Am J Clin Nutr. 2004 Dec;80(6):1558-64.